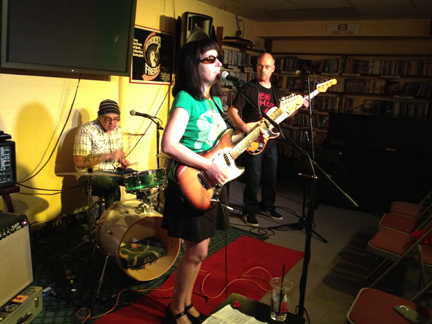 The Lys Guillorn Band headlines at Best Video Performance Space on Friday, Aug. 5. The wife-husband duo of Julie Beman & Eric Bloomquist open. The show starts at 8 PM and the cover is $5. She comes at the listener not only with a full band in tow, but also with a cavalcade of guest musicians and a litany of her own instruments, each of which she’s extremely adept at. On this album Guillorn’s brand of folksy Americana is drenched in 60’s pop harmonies and an indie rock aesthetic. While she’s not afraid to bust out the lap steel, she’s also not afraid to incorporate the occasional cello accompaniment or horn section. It’s an album that’s pretty indicative of an artist who’s spent time floating in and out of varying genres for the last few years and coming back home to incorporate some of that into her own work. Again, positive musical experiences meeting with raw talent on wide open display here. 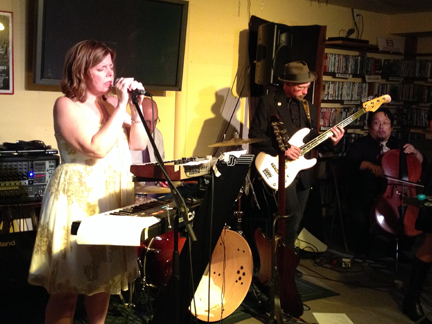 Julie Beman, left, and Eric Bloomquist, right, on bass when The Dress-Ups played Best Video Performance Space in 2014. 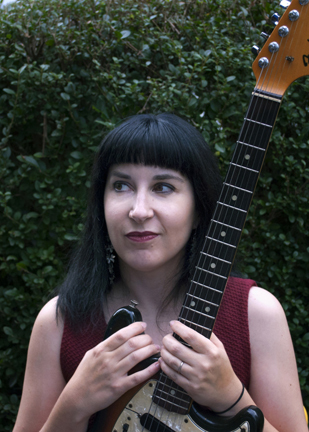 Lys Guillorn & Her Band play the Best Video Performance Space on Thursday, Aug. 20. Calvin DeCutlass opens. The cover charge is $5 and the music starts at 8 PM. 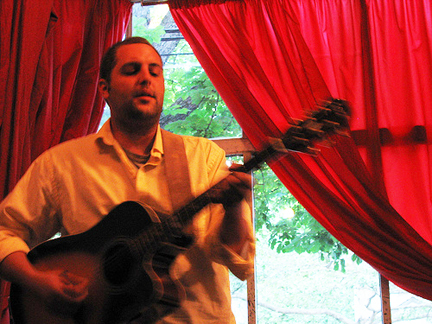 Calvin DeCutlass emerged as a singer-songwriter and guitarist in the New Haven scene during the early aughts with his bands The Tires and The Nortons (with local legend James Velvet and Johnny Java). He plays what Patrick Ferrucci of the New Haven Register called “intelligent, country-tinged folk rock” and he once tried out for the New Haven Cutters. 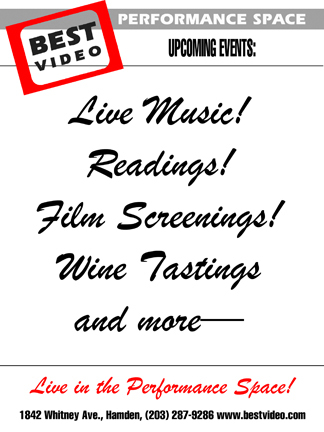 The Lys Guillorn Band plays the Best Video Performance Space on Wednesday, Apr. 3. The cover charge is $5 and the music starts at 8 PM. Lys Guillorn is a singer/songwriter of the same musical school as Laura Veirs and Kristin Hersh, with a little Emmylou Harris thrown in: dreamy, lyric-driven, melodically interesting, and indefinable. She makes “oddly uplifting, folk, blues, country-infused, acoustic semi-electric psychedelic dark pop music.” (Geraint Jones, Comes With a Smile, UK). In recent years, Guillorn has released a full-length CD, an EP, and a collection of compilation tracks on her own Little Cowgirl Records. 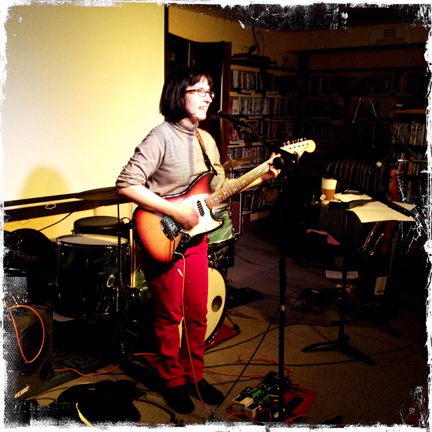 She is working on her second full-length CD of original material. At the Best Video Performance Space on April 3, she will perform with her full band. While she’s invariably compared to artists like Laura Veirs, Emmylou Harris and Kristen Hersh, it’s not a stretch to add Lisa Germano and Lucinda Williams to the list of comparisons. There’s an element of subtle experimentalism in both her songcraft and recordings; like Germano’s, and a subtext of world-weariness in her vocals similar to Williams’. On the surface, the songs’ arrangements seem conventional, but below it, odd tunings and bits of sound collage-y stuff give texture and true artistry to the tunes. Guillorn’s voice is at times restrained, hushed and ragged — no histronics here.